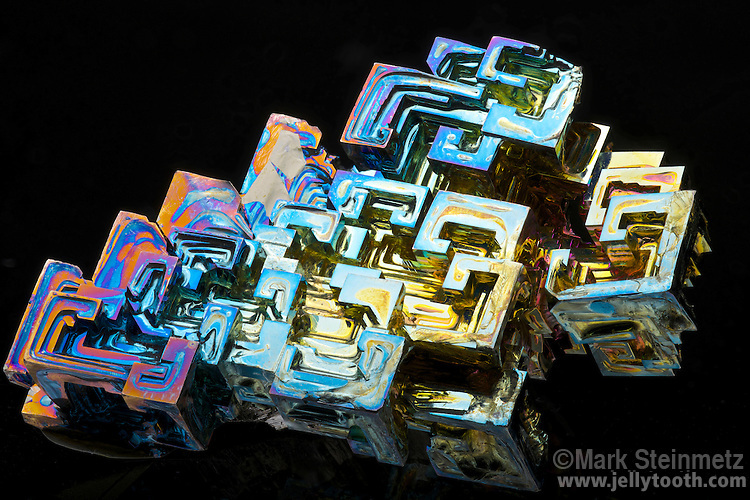 Artificially grown bismuth crystals with a characteristic iridescent oxide tarnish displaying many colors. Bismuth is a metal and chemical element with the atomic number 83 and symbol of Bi. In nature, it is rarely found in a native or crystal form.